I grabbed this tube of Aveeno Protect + Hydrate Lotion Sunscreen SPF 50 on a recent trip to Target and I’m kicking myself for not buying a couple more—they were on sale! Yesterday it was 49 degrees when I left my apartment for a 4-mile run. I was wearing Capri pants, a long sleeve top, and a light vest (I needed the pockets, darn it). The sun rose higher into the sky, the mercury creeped up about 6 degrees, and my body temperature soared. I wanted to slow down to a walk and cool off for a bit. Instead, I took off my top, tied it around my waist, and kept running. I convinced myself that a few minutes of ultraviolet exposure wasn’t going to kill me. And I tried to keep to the shady side of the path to prevent my now exposed arms from experiencing the full force of the sun. I can be a little obsessive when it comes to applying sunscreen—I’d rather sport a pasty white appearance than risk skin cancer or age spots, so my unprotected run created a lot of anxiety. Ultraviolet radiation is a known carcinogen, and melanoma, the deadliest skin cancer, is increasing in this country—I know, I’ve written stories about this scary subject for a number of women’s magazines. 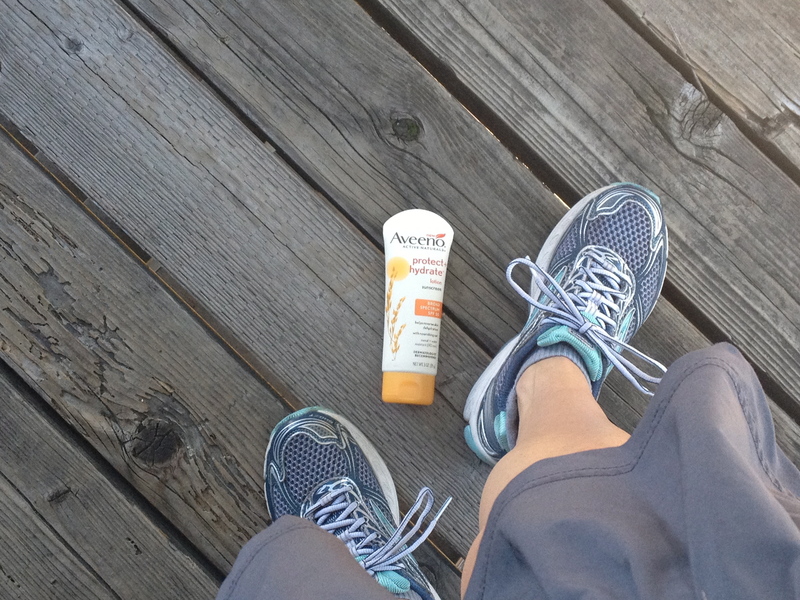 We’ve all gotten smarter about SPF, but like me yesterday many runners still find themselves unprepared in the middle of a run. And we don’t put enough thought into winter exposure. From now on, I’ll be putting sunscreen on head-to-toe before lacing up my sneakers in anticipation of a mid-run wardrobe change. Ready, set, protect… and then, go. I encourage all of you east coasters thawing out this week after the recent cold snap to get on the sunscreen bandwagon, too! What’s your favorite sunscreen? Do you lather up before leaving or bring a tube with you on runs?